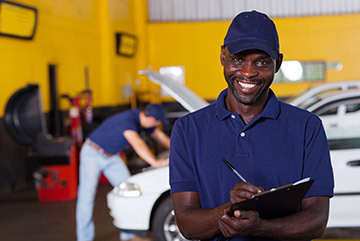 Visit your local Chabill’s Tire & Auto Service once a month to ensure your vehicle continues to operate correctly and run smoothly. You can also perform your own brief inspection by following a few simple recommendations for owner maintenance. A few minutes each month could save you money on repairs down the line. Check tire pressure on all tires, including the spare tire, and inflate to manufacturer’s recommendations while cold.